WOW! 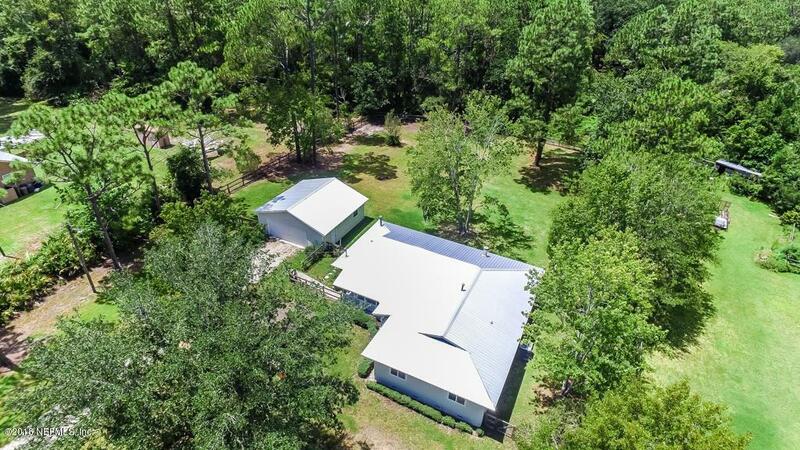 1.3 acres of land and privacy, but ONLY 6 miles from Downtown St Augustine!! 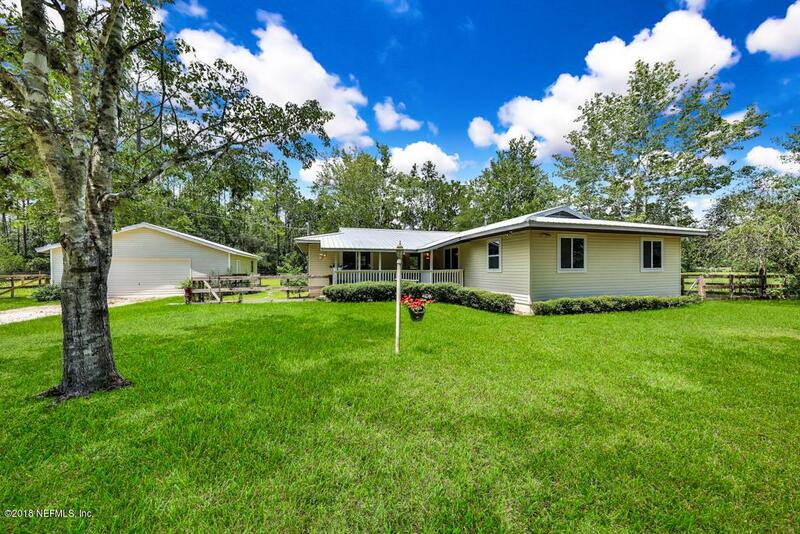 GREAT opportunity to own acreage in St John's County at this affordable price! Bring your horses! Roof is only a few years old, new eco-smart tankless water heater, new 15 SEER A/C, gorgeous wood floors are less than 3 years old, NEW carpets in the bedrooms! Both the master ensuite bath and the guest full bath have been gutted and rebuilt from studs. Kitchen is oversized with bar top seating. Adjoining Dining Room perfect for formal OR informal gatherings. Family room with gas fireplace. Fancy having plenty of space for your tools and your cars? Detached oversized garage perfect for storage or tinkering on your projects. New well dug, new pump, and new lines from ground to filtration system and into home.Water softener and aerator. 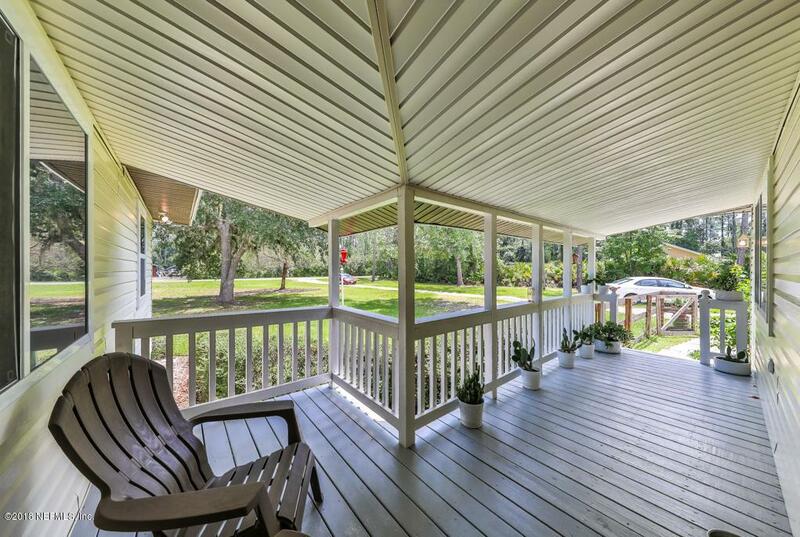 METAL ROOF that will last forever! 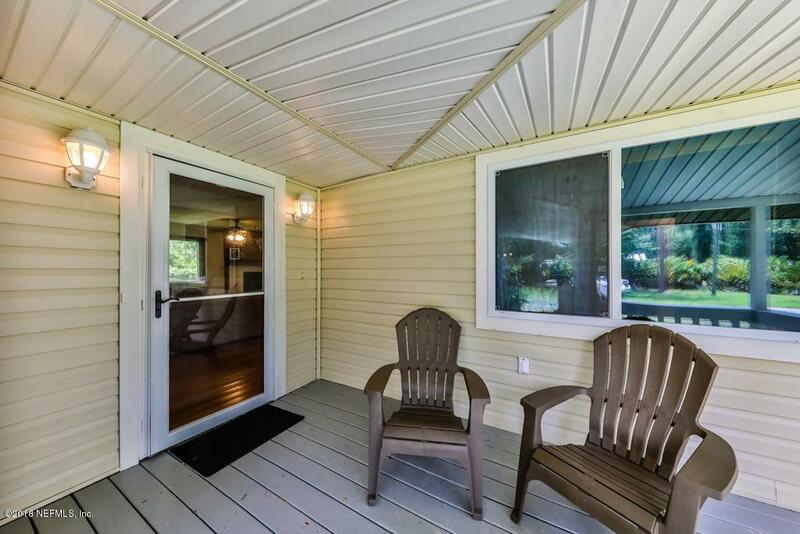 This house is a unique find -- Imagine sipping coffee on your L shaped front patio and enjoying the privacy of 1.3 acres -- knowing the grocery store, restaurants, and shopping are only a few miles away!